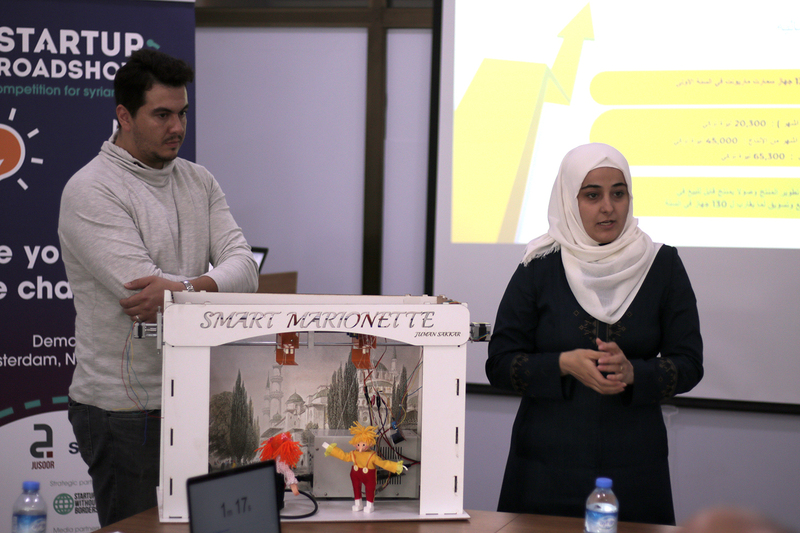 Last fall witnessed the inception of the Startup Roadshow competition, launched by Jusoor and SPARK and in collaboration with Startups Without Borders, offering an opportunity for Syrian-led startups to unlock their potential and level-up their businesses. Touring across 5 cities in the Middle East, from Beirut to Amman, to Erbil, to Gaziantep, and Istanbul, the competition went on a mission to scout for and support the next generation of the groundbreaking, powerful and innovative entrepreneurs who are capable of changing narratives and disrupting industries. From the beginning of September until the end of October, 10 Syrian-led startups championed tour, with 2 startup winners crowned in each city for the idea and early stage categories. Five finalists made it to the SPARK Ignite conference 2018, in Amsterdam, where they pitched their startups on the global stage, while the other 5 finalists pitched at Beirut Digital District, for the second Demo Day in Beirut. 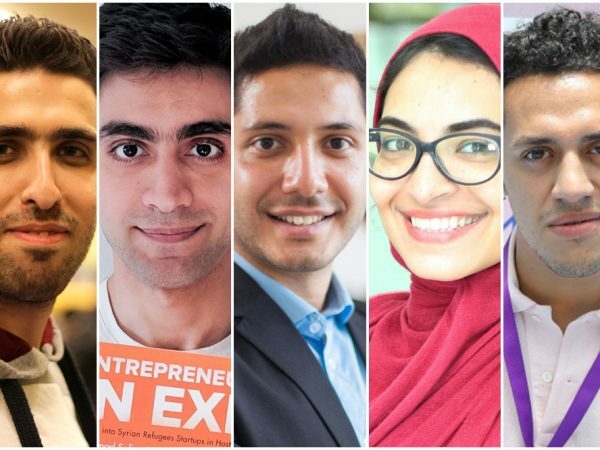 From peer-to-peer shipping to HealthTech startups to e-commerce to EdTech to AgriTech startups and more, these winning entrepreneurs battled up across various industries displaying how revolutionizing and ground-shaking the solutions can be initiated by migrant and refugee entrepreneurs in their host countries. Here are the winners. Shiffer founder Azhar Al-Madani on stage at Ignite 2018. Photo credit: Tom Nicholson. 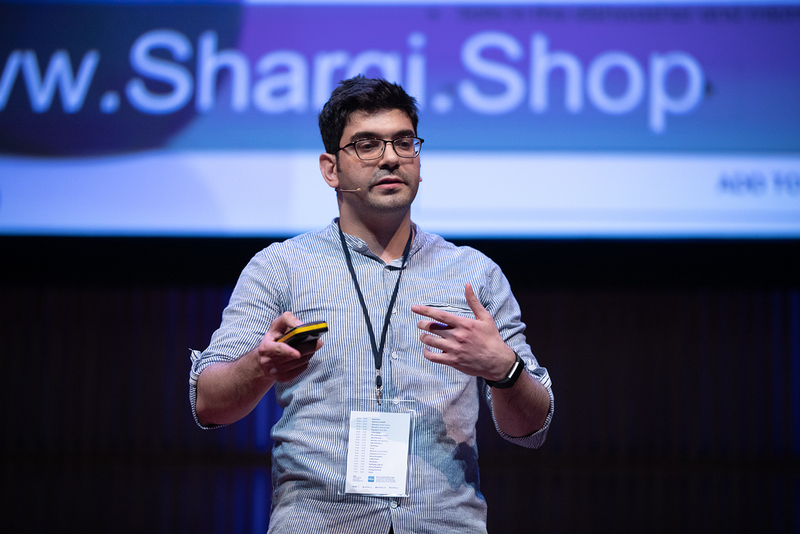 Inspired by the danger of statelessness he faced after his daughter’s birth, Azhar Al Madani founded Shiffer, a peer-to-peer and online logistics platform that connects travelers willing to carry shipments for a cash reward, with people in need to ship documents or items. The startup, based in Erbil, won the first prize in the SPARK Ignite conference in Amsterdam, worth $8.000 on November 28th. “Taking on this journey was very intense, but it has negative and positive facets. I was alone, I felt lost and unguided. But the positive side is that I learned a lot about myself and the world,” says Al-Madani. The entrepreneur continued to reap awards, as he recently won the MIT Enterprise Forum Pan Arab’s Innovate for Refugees competition, in Amman. Read Azhar’s full story, in an interview with Startups Without Borders, here. 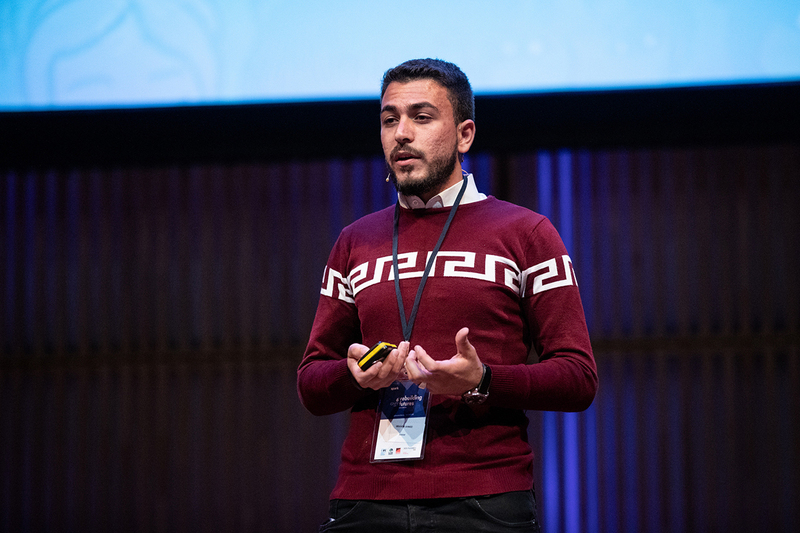 Ibrahem Ahmad during his pitch at Ignite 2018. Photo credit: Tom Nicholson. 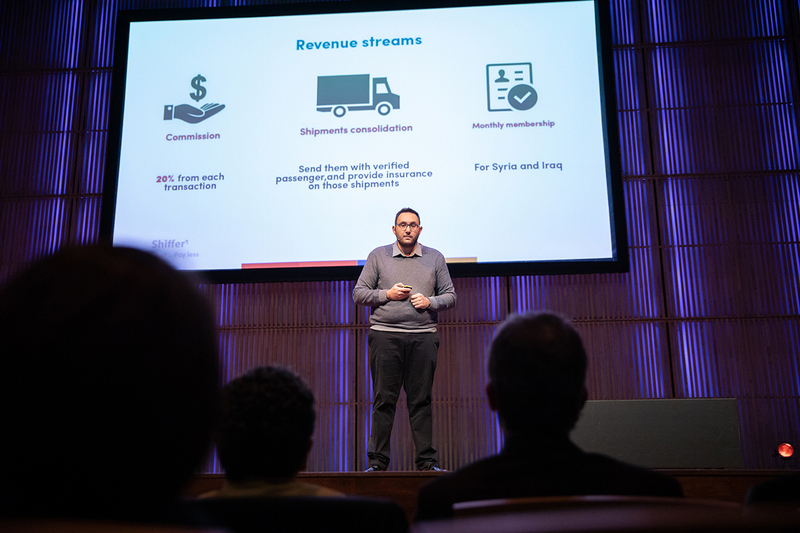 Based in Amman, the startup founded by Ibrahim Ahmed won the second place in the SPARK Ignite conference in Amsterdam. Fadfed is a bot-powered platform based in Amman, for people to access mental healthcare and life-coaching services in the region. “We will work hard to develop our idea. We really believe in the great benefit to the individual’s personal and practical life and its impact on the lives of refugees, and we will do everything we can to push this forward,” says Ahmed. 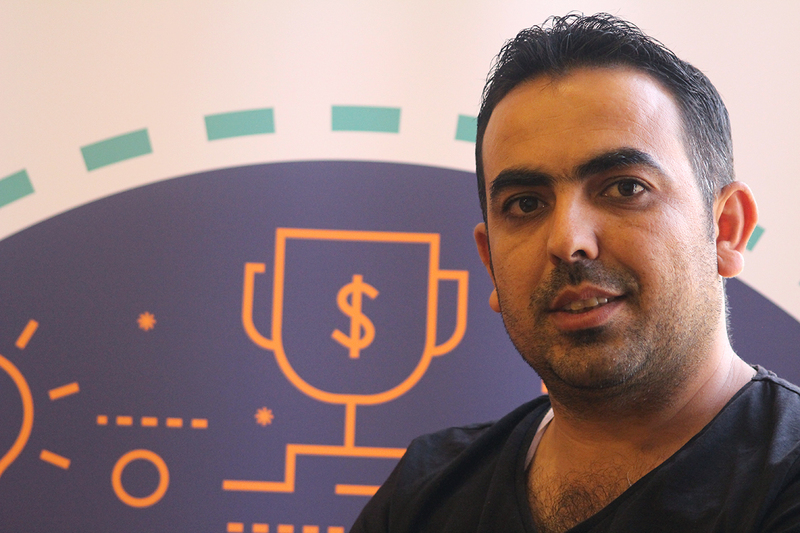 Amman-based Sharqi Shop is an e-commerce platform that connects the artists in Jordan with the global market and helps them sell their product online. “I worked in an office for a few months but always felt that it was not for me; I knew I had a different calling and that there were other things in life that I could do,” says its founder, Saleem Najjar. The startup also was awarded the YAG Audience Prize, provided by the Young Advisory Group, a student-led advising firm in the Netherlands, and also won the European Youth Award in Austria. Read Saleem’s full story, in an interview with Startups Without Borders, here. 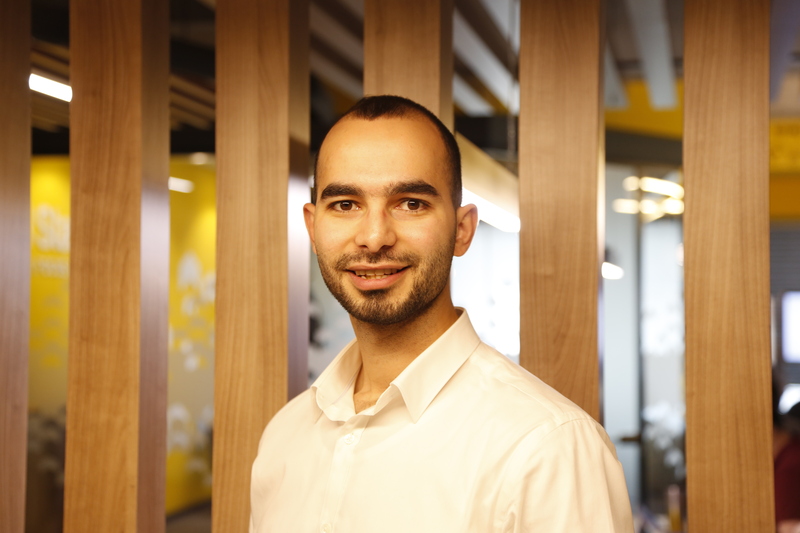 The EdTech startup founded by Juman Jamal Sakkae in partnership with Hamadah Gubran, is the winner from Gaziantep city and the winner of the first prize of the Startup Roadshow’s second Demo Day held in Beirut. The startup focuses on combining education with entertainment through a program that allows users to input a story that will later be enacted by puppets. “The project a game to guide and monitor puppets with strings, controlled through a program. So the user is able to write a story on the program, and the puppet will move according to the scenario that he entered,” Sakkae explains. Agri-answer is an AgriTech application that offers farmers solutions to manage their crops, founded by Masaoud Ali and Doaa Al-Ibrahim. The startup, based in Erbil, is the winner of the second prize, with a fund worth $4.000 of the second Demo Day that was held in Beirut on December the 14th. “Our aim is to connect farmers through internet and its applications, providing them with the best solution for them at the least cost through a seasonal subscription,” says Ali. The people’s choice award winner is Torever, a mobile app that helps travelers plan their trip while accessing services on the go. Taking home $3.000, the startup is founded by Yusuf Kabbara and based in Istanbul. “I have worked with foreigners and tourists in Turkey for many years, and I found a huge language barrier, as well as services that could be a lot more satisfying,” says Yusuf.